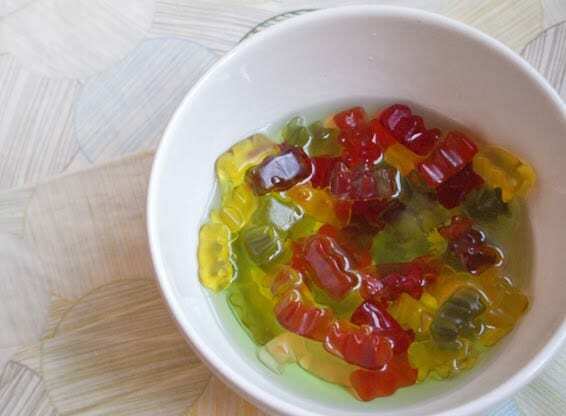 Whilst my main batch of bears was soaking in that, I also tried a few cocktail options to see how they came out. A few lined cupcake cases work perfect if you fancy testing out a few different combinations without breaking the bank. 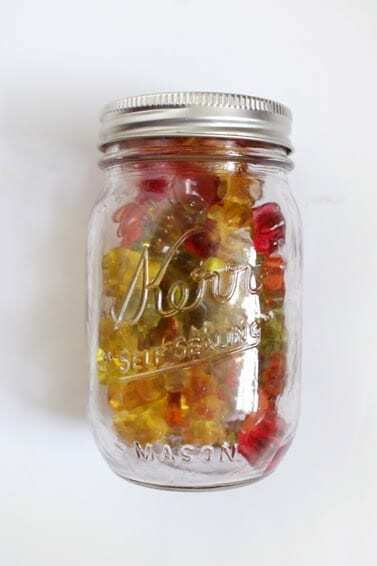 So, all you need to do is pop your bears in a bowl or jar, put in enough booze to cover them all, clingfilm / saran wrap closed and sit them in your fridge for 2 to 3 days till the alcohol has virtually gone. I found that it was good to give them a stir each day so ensure each one got good coverage and I wasn’t left with a big gummy lump at the end! The Verdict? These bears have got some kick to them! The Apple Sourz ones turned out really well, the flavour is perfect for those of you with a sweet tooth and a love of candy. I really enjoyed the Sailor Jerry flavoured ones too, but their not for the faint hearted. If you’re not into strong spirits I would say this flavour is not for you. Being a lover of our local Hendricks Gin, I couldn’t resist giving this a bash; it’s still quite a strong kick, but I foreseeing these being made again in the future. Unfortunately our Chambord bears weren’t as successful as the previous flavours. I’m pretty certain this is to do with the consistency; it’s quite a thick liquor and therefor harder to be absorbed. They still taste lovely, but there was a lot of left over alcohol from the trial. I do like how the clear bears are now pinkish though! That is a top tip for next time – maybe a little flavoured vodka and some food colouring for themed parties! Taste aside, the sweets themselves have definitely grown in size and are still quite gummy in consistency. They’re more jelly like when you first bite into them and then get more chewy towards the centre. Good times if you ask me! Overall, I’m really pleased with these and will defo be making them for adult parties in the future. They’re a great throw back and really novel, but remember not to put these on the table if there’s going to be anyone under 18 / 21 in the room! 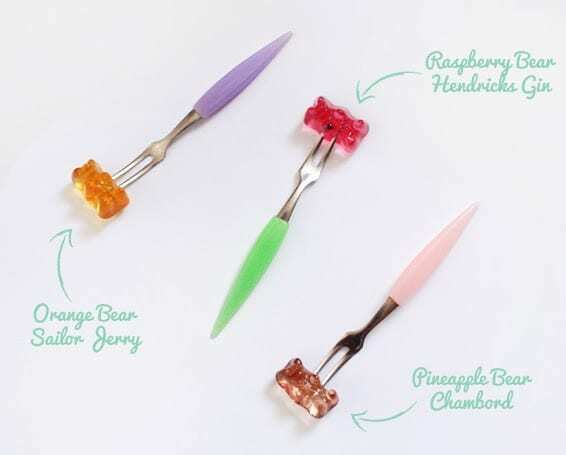 Also, I think they look totally fab when in a jar – wouldn’t they make a great hostess gift? Or how about whiskey ones for your boyfriend on Valentines Day… or even your dad on Fathers Day… Oh! Gin on Mothers Day too 😀 As you can switch up the flavours the possibilities are endless. I think I might try popping some in a glass of lemonade to see how that turns out. How fun! We’d love to hear what combos you think are worth trying! Remember to eat your candy responsibly. That’s dead simple! I was under the impression you made them from scratch! What an easy DIY! 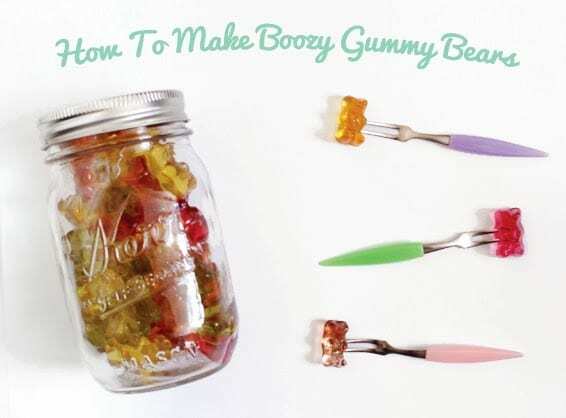 I would make these and I don’t even drink! I think I’ll give them a go if I can find some alcohol that won’t make me squirm! Oh no! 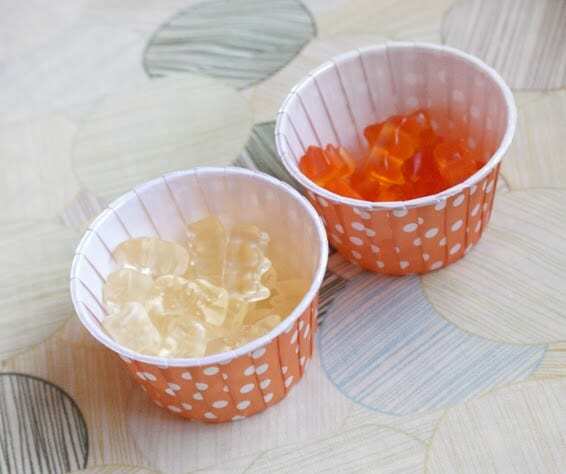 All you need to do is let them drink it up themselves 🙂 I’ve made babycham jelly before (there’s a diy on the blog) but never gummy bears. Maybe one day! Ahhh! I’ve always wanted to try this but never figured out how! Now I know!! Amazing! You’re totally welcome, I hope you have a cracking party!